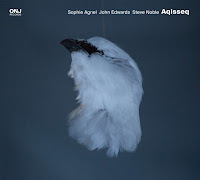 Matt himself describes this record as “pianistic ear candy” for those who care to listen. I care to listen and it is just like candy. 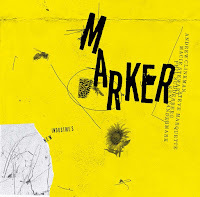 This album forced me to really sit and think about what goes through a musician’s mind when he sits down at a piano and looks across the stage to see only one other person sitting down at a piano. Obviously there was something that brought them together such as a mutual respect or an insane challenge. So as the first notes are struck and the musician’s put their heads down, what are they hearing? Is it an extension of their fingers, or their ideas that are one step ahead of what we can hear? 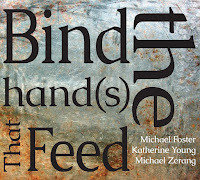 Wood, Wire and Steel is split into three parts with titles chosen to emphasize the fact that there are only 2 voices here. (1+1, Two, and Too) The first track is a feeling out process and the title kind of alludes to that 1+1, still individuals playing together. This all changes in a hurry on the follow-up track, Two. This is an example of two musicians getting so comfortable with each other that it becomes impossible to tell them apart. Are you finishing your thought or are you finishing mine? Did I just play what you thought or are you reading my mind? As Matt alluded to in the Bandcamp notes for this recording, it has a lot to do with instinct which is demonstrated on the closer Too. 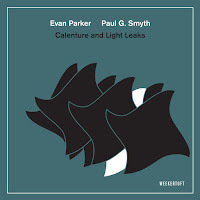 It can sometimes get a little overwhelming when 2 great players hammer idea after idea at you so the last track is really refreshing as the tempo slows to a pace where there is nowhere to hide. This results in pure beauty and a tangible respect for each other and the instrument. Part Five- Tim Daisy and the March to the Future. 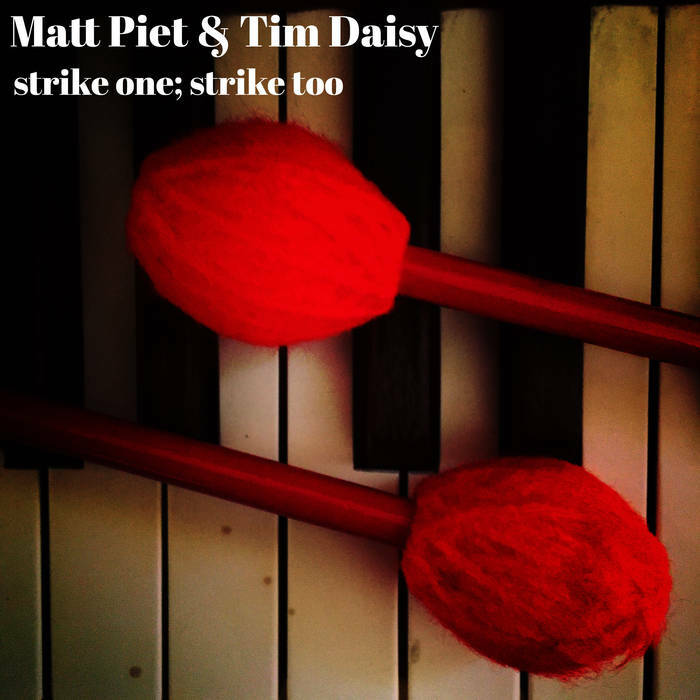 So after a week of listening almost exclusively to Matt Piet, I was looking forward to listening to this one as Tim Daisy, one of my favourite percussionists gets tom play with Piet one on one. So, what happens when the piano gets played hard and heavy like a drum with Daisy sitting next to you? The result? Well, you are not bored, that’s for sure. Piet opens the lid and with the inside and outside of the piano top work with, he develops a new language for himself which in turn becomes a different type of agitator for Daisy. As you would imagine, not a problem for him. Daisy has been working on a new language for a while now himself and some of that makes an appearance here. 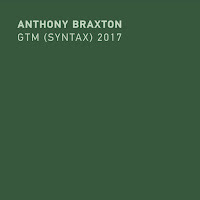 Not that he needed any help as his formidable expressive language was powerful enough, radios and loops and other creative uses for his kit add plenty of spice to this record. At the 12 and a half minute mark of the opener, laissez-faire, the roles are reversed. 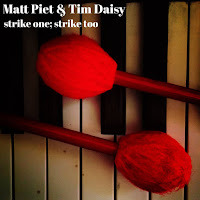 Piet supplies the percussive elements to the narrative as Daisy melodically makes his way around his set up. Track 2, the empathy and the entropy, starts with the least amount possible. In a good way. Its a slow build. Then out of nowhere, Piet comes at you with a killer passage followed by another killer passage. This get Daisy really going and the rest of the track is just magic. Part Six - Matt goes to Amsterdam and, you know, makes a great record. You can tell from the opening notes that there is a new world vision happening here. Van Der Weide is a monster and if there is anyone who can match that intense beginning, its Frank Rosaly. Its like when you stick your face out the window of a fast car and you realize that it is more difficult to breathe than you thought. 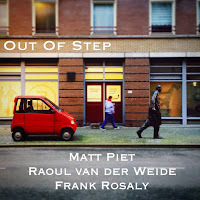 Rosalyn and Weide hit the groove halfway into Step to the Music giving Piet a chance to carve out a few frequencies of his own. The 25 minute track, However Measured or Far Away, allowed me some time to think about why a like this music so much. I think its about the discovery. I’ve joked about how I am saving classical music until I get a little older so I will have something to look forward to. 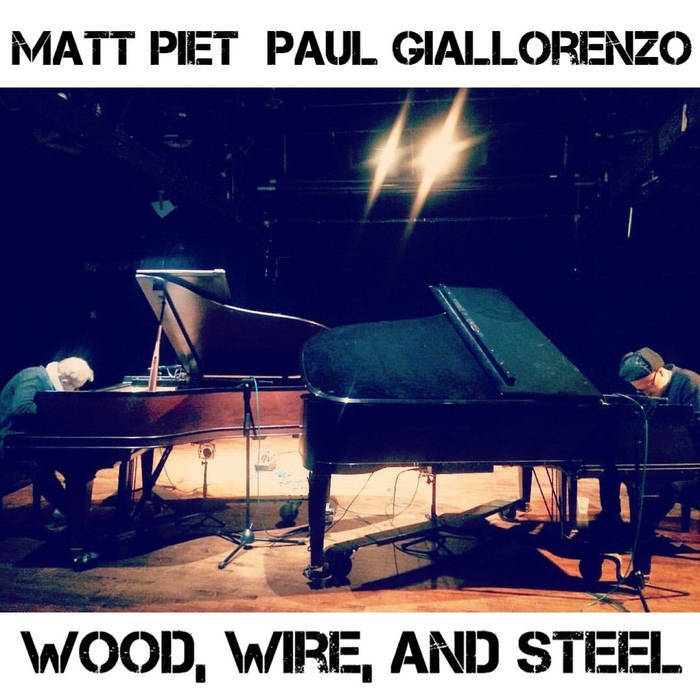 Looks like I may have to be pretty old if I keep finding gems like Matt Piet. And it just goes to show, if it wasn’t for my history with Tim Daisy, I wouldn’t have found Matt Piet, and you can see where that got me. 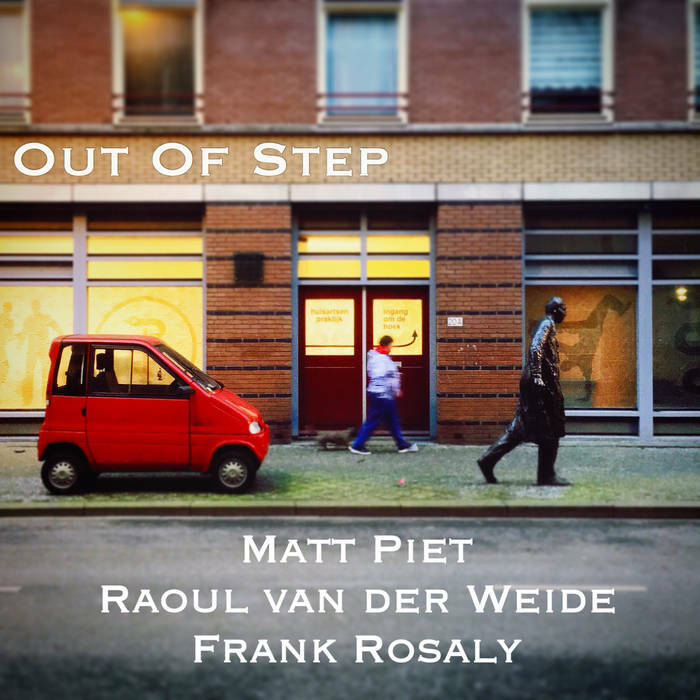 Now, i can say, if it wasn’t for Matt Piet, I wouldn’t have found Raoul Van Der Weide, who just took me head first out of my contemplation by trying to rip the strings off the bass. First he treats his bow like a light sabre and now you can hear the wood from his bass cry. Rosaly rolls in the thunder and the storm continues. The music here is now music. It resonates, it sings, its enjoyable, its complex and with Piet getting better with every release, the future is, well, nobody knows, because it will be created in the present on a stage with a man sitting behind a piano looking up and seeing other musicians and wondering, so, what are we going to do next??? 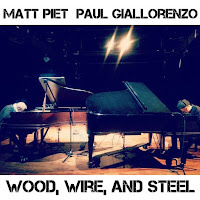 See Day 1 of the Matt Piet Deep Dive.